Why not try a Kit? We have conveniently sized Kits to get you started right away! Have a set to keep in the office and a set to sell. Get Your COMPLETE KIT of all 11 Sizes NOW, look for it on our ORDER FORM. 11 Pair Kit includes 1 pair of every size, brochure holder and brochures, laminated fitting guide, and our NEW littleSTEPS® Poster. 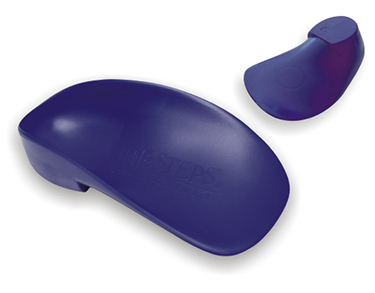 Want to customize your littleSTEPS®? Try our WIDGET KIT! 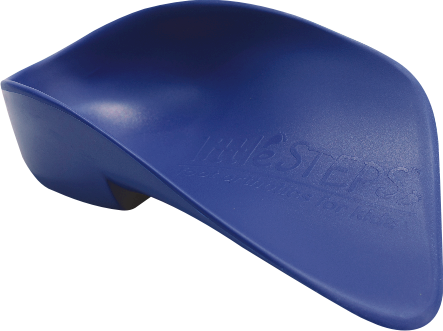 Why treat a flat foot with a flat orthotic? Compare ours and you'll see the difference! 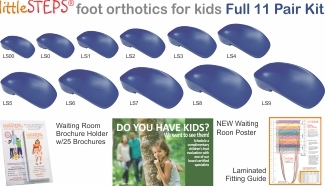 littleSTEPS® products are specifically designed for kids to deliver a prescription based correction, closest you will find to matching custom UCBL devices! 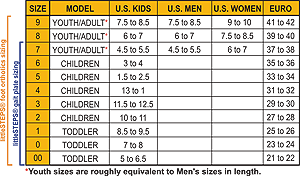 littleSTEPS® come in 11 sizes to fit toddlers to teens. See the DIFFERENCE littleSTEPS® make for Yourself! NEW! 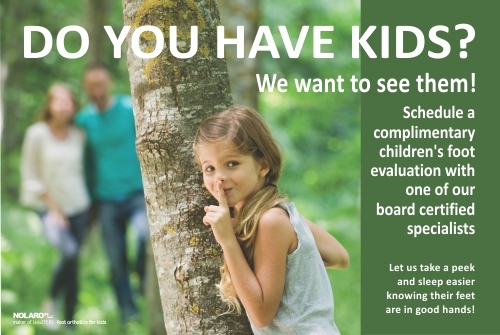 littleSTEPS® POSTER Get Parents to schedule an appointment for their kids, great referral source! ORDER YOURS TODAY! DON'T FORGET your littleSTEPS® Fitchain!